Voyageurs National Park Association is committed to giving the next generation of park stewards the opportunity to learn about nature, wildlife, conservation, and our public lands. With support from the Donald Weesner Charitable Trust and National Park Foundation, we are excited to offer travel grants for schools who may not otherwise be able to fund transportation to Voyageurs National Park. Specific funds are available for Fourth Graders to visit the park. 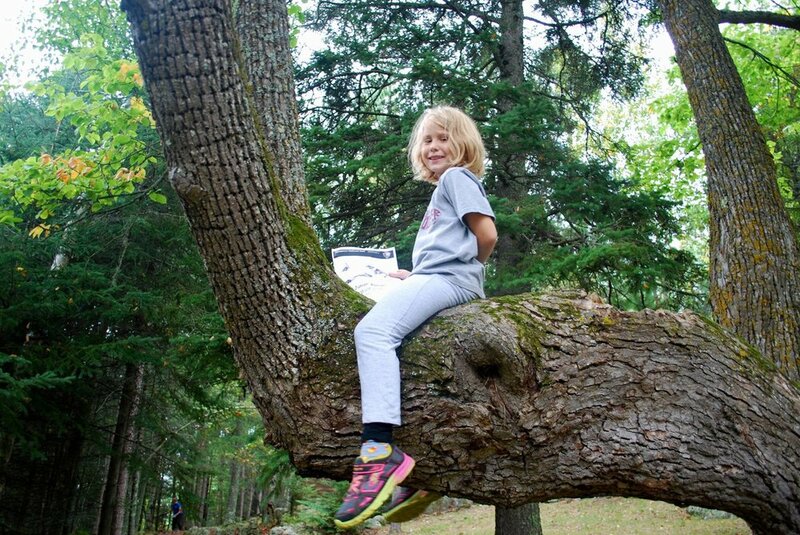 National Parks are outstanding outdoor classrooms that offer opportunities for students of all ages to make lasting connections to the natural environment. But not all young people have the opportunity to visit them. Partnering with the National Park Service and Wilderness Inquiry, VNPA established the National Park Teen Ambassador program in 2012 to increase access for Minnesota high school students to our National Park and champion environmental leaders in new communities. Learn more. Apply for the 2018 program. Voyageurs National Park Association and several other partners created the Minnesota’s National Park Legacy film. Copies are available to distribute to libraries and schools throughout Minnesota. We hope that this educational resource will help to inform young people and community members about the natural beauty that lies just outside their back door. The DVD Companion Resource Guide for Educators has downloadable activities, but one of the most helpful resources is NP interpretive staff. Contact individuals at each Park site to learn more about the free tools available for educational use. You can request DVD copies of this film for use in your classroom by contacting us at vnpa@voyageurs.org. You can become a Junior Ranger by completing a Junior Ranger booklet. Voyageurs National Park offers three different Junior Ranger booklets: Voyageurs National Park, Garden Explorer, and Night Explorer. These are free and can be picked up at any of the three visitor centers. After completing the booklet, present it to a park ranger or volunteer to receive your badge and certificate. Learning about Voyageurs from afar? Call the Rainy Lake Visitor Center at 218-286-5258 and request a Junior Ranger booklet be mailed to you!